Patricia Ann Cowan Sears, 81, of Apex, passed away, Thursday, January 25, 2018 at Cambridge Hills in Pittsboro. Ann was born February 25, 1936 in Mullins, SC to the late Sam and Stenza Moore Cowan. She owned and operated A&E Electronics with her husband for over 25 years in Apex. Ann was a motorsport racing fan and supported her son, Glenn throughout his racing career. She was known for her baking ability especially her seven layer chocolate cakes. Ann was a loving wife, mother and grandmother. 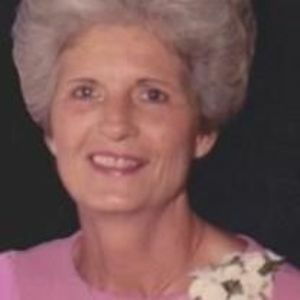 She was preceded in death by her husband of 63 years, Earl T. Sears and infant daughter, Becky Marie; sisters, Eulita Driver and Aileen Lee; and brother, Gene Cowan. Ann is survived by her son, Glenn Sears and wife, Angie; grandchildren, Travis Sears, Holly Sears Johnston and husband, Chris and Lacey Sears; great grandson, Landon Johnston. A funeral service will be held 2pm Tuesday, January 30, 2018 at Apex Funeral Home Chapel, 550 W. Williams St, Apex, NC 27502. Burial will follow the service at Apex Cemetery. The family will receive friends 1-2pm prior to the service.